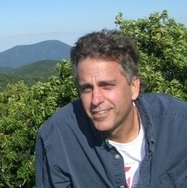 Jeffrey Kenney is a native of Bethesda, MD. He feels blessed to live in the Washington D.C. area and live his purpose, his passion as a healer and health advocate, serving the greater good as a Yoga teacher, acupuncturist, Chinese herbalist, and practitioner of Medical Qigong. Very early on in his childhood, Jeffrey began practicing Yoga and meditation. He continued to study and practice Yoga and meditation into his adult life. Through years of study and experience, Jeffrey gained the knowledge and credentials to earn a living as an acupuncturist and Yoga teacher. Jeffrey became interested in nutrition and herbs while teaching children in the public school system. Plagued by upper respiratory illnesses, Jeffrey attempted to heal himself with herbs, nutrional supplementation, and fasting and cleansing. In an attempt to curtail the stresses of public school teaching, Jeffrey began a meditation practice. Over a span of ten years Jeffrey attended 7 S.N. Goenka Vipassana ten-day silent meditation retreats, and for nearly 12 years, Jeffrey maintained a daily meditation practice of 2 to 3 hours a day. Jeffrey currently maintains a meditation practice, although less intensely, and now he also incorporates Qigong meditations in his daily practice. Jeffrey teaches Yoga, in Yoga studios, health clubs, corporate offices, and privately. He also practices Chinese medicine, acupuncture, chinese herbs and Medical Qigong in Maryland and Washington D.C.